As usual, Beor is ready to assist to the most important exhibition of our sector at a national level, InterSicop. This will be held in Madrid, between February 23 and 26, 2019. Given that the national market is one of the most important markets, we are prepared to offer a good show. 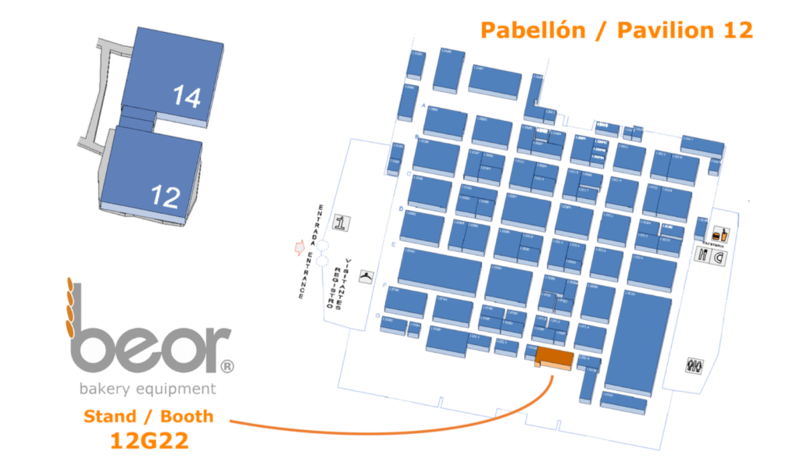 We are waiting you at the ‘IFEMA’ fairground in Madrid. * I agree to receive a free ticket for exhibition. * I accept Beor Bakery Equipment uses the personal data provided, in order to receive the latest news and personalized advertising, complying with Article 13 of Regulation (EU) 2016/679, of the European Parliament.